h.h. gregg, one of the nation's leading and fastest growing retailers of home appliances and consumer electronics with over 220 locations. 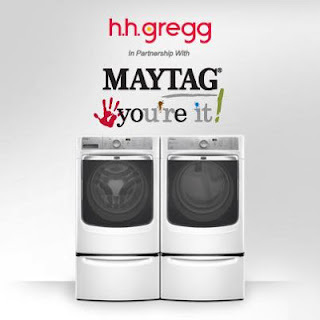 In Promoting their “Maytag You’re It” sweepstakes, they are giving away a Maytag laundry pair every day during the month of May. 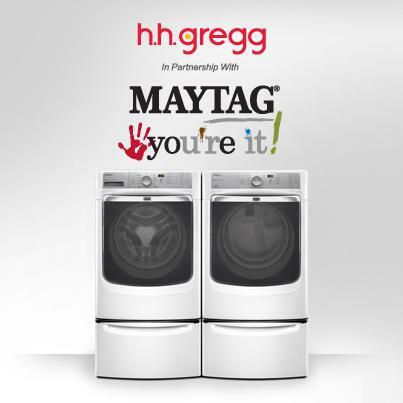 Win a Maytag Washer & Dryer Set - New winner EVERY DAY in the month of May! To celebrate this fun event, Mom Loves 2 Read has partnered with h.h. gregg to provide a $100 Giftcard that can be used in any h.h. gregg Store! Just enter below using the giveaway form provided! I received compensation for posting this giveaway event from the sponsor, h.h. gregg. If you have any questions or comments, please see my FTC disclosure or Review Policy. Thanks. Signed up for the contest. :) I hope I win.